Our greatest consiglio is to keep it simple. We will help you find a blissful sauce to best complement the type of pasta shape and filling your appetite desires. Create the perfect match using refreshing tomato, hearty Bolognese or indulgent creamy and rose sauces. A Napoletana sauce is the collective name outside of Italy used to describe a basic sugo al pomodoro. In saying that however, basic does not at all mean lacking for flavour. In fact, a great sauce always begins with a good base. The base of many Tuscan recipes is what loans the dish its full flavour … the “soffritto.” The simple combination of finely diced onion, carrot, and celery are the flavor, texture, and heart of the dish. Mixed with a little olive oil and then lightly browned, when these three ingredients become softened and fragrant it is time to add the chopped tomatoes. Lastly, a pinch of salt, some black pepper and any fresh herbs that are in-season. We leave our sauce to simmer gently, creating a deep red richness and a sugo that is dense in flavour. You have probably guessed it, but just in case you haven’t … Bologna is where this sugo derives its name. Ragu alla Bolognese is highly controversial and has undergone several changes to the traditional recipe over the decades. At least we can all agree that the principle ingredient here is meat. Once again beginning with the soffritto, our meat is roasted and then finely minced before the addition of tomato paste. Oh, and absolutely no garlic! Gently simmered, once the flavours have blended and the meat is tender we have the distinct taste of Golden Ravioli. For lack of a better description, alla panna means ‘in a cream sauce.’ Yes, this dish is rich, and yes it is decadent, but it is also just delicious. Best paired with meat filled tortellini, penne or fettuccine, our sugo alla panna combines mushrooms and cooked ham for a sublime taste experience. For a stand- out party dish, serve with some fresh parsley. 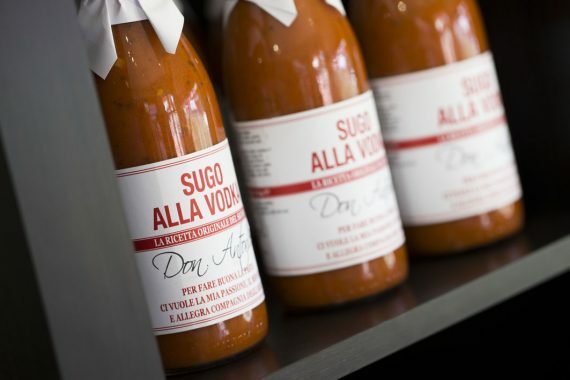 Lightly orange in colour this sauce is a heavenly combination of both sugo alla Napoletana and a dash of cream. A perfect blend, this sauce is rich in layers and texture and a warning … is highly addictive! Perfect for all seasons add some basil or chilli for loads of freshness and a crisp finish. For a little saltiness, grate over your own favourite hard cheese. For even more variety we stock the Don Antonio Premium Pasta Sauce range in store. 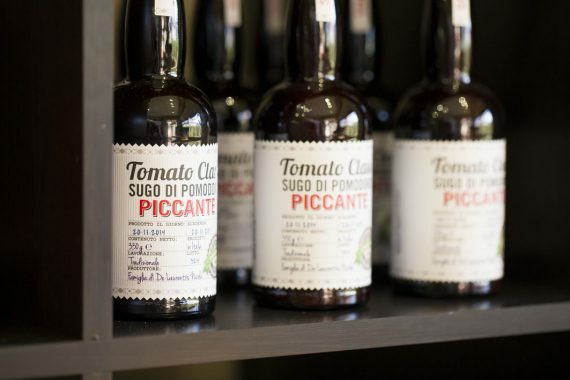 Inspired by ancient recipes and local produce this full flavoured range tastes like it came straight out of an Italian family’s kitchen.